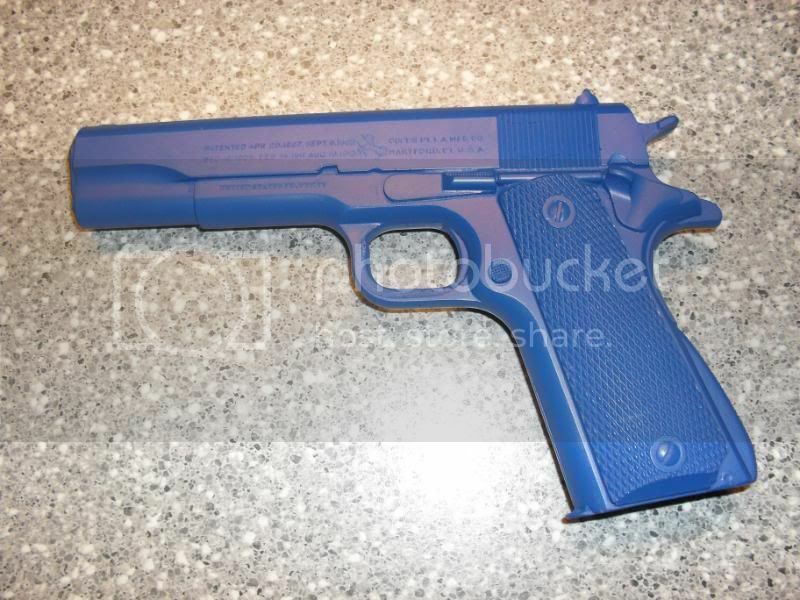 THE BLUEGUN WE ARE GOING TO REVIEW IS A PLASTIC REPLICA OF A COLT 1911. EVEN THE ENGRAVINGS ON THE TRAINING WEAPON MATCH. 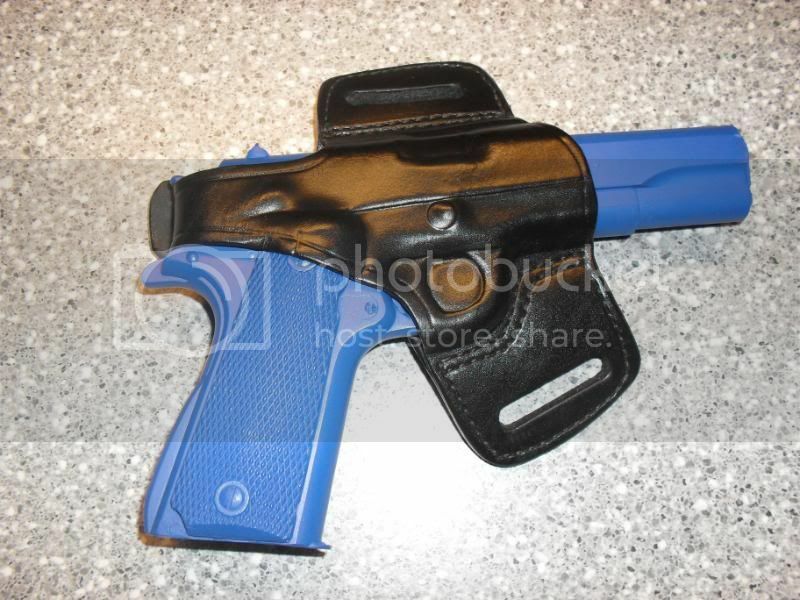 EVERY HOLSTER I HAVE TRIED FITS JUST AS IT SHOULD. 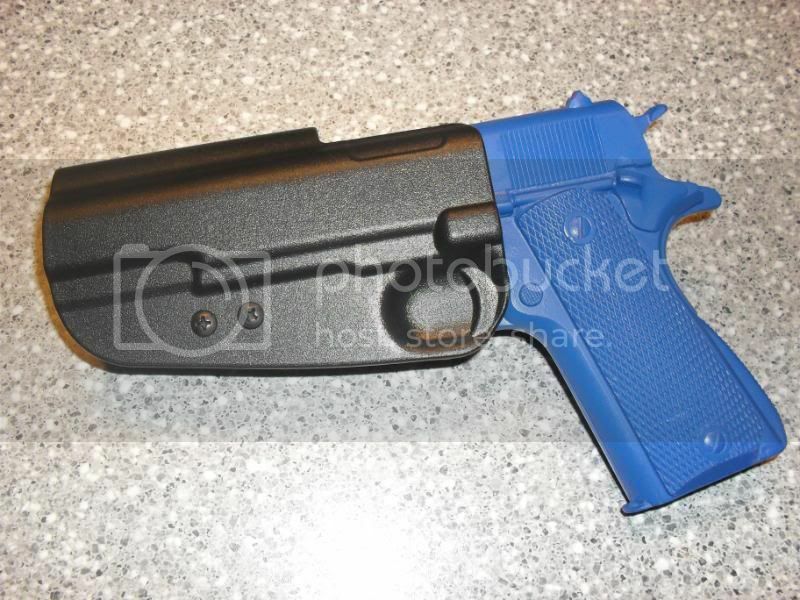 THESE BLUEGUNS ARE PERFECT FOR PRACTICING YOUR DRAW SAFELY FOR YOU COMPETITIVE SHOOTERS. AND IN TRAINING SITUATIONS THEY ARE A MUST HAVE.